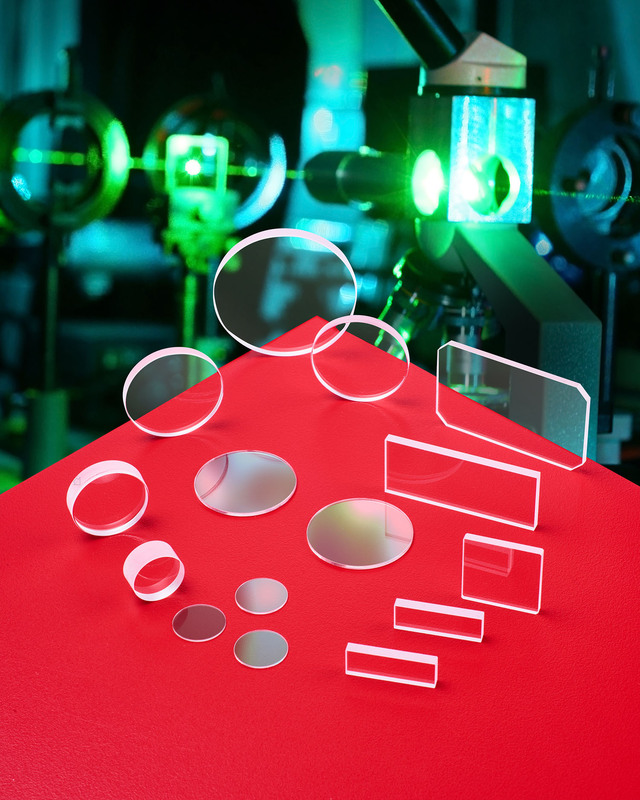 A line of sapphire cover glass windows and lenses for industrial cutting lasers that are more durable than fused silica to reduce the need for cover glass changes is available from Laser Research Optics of Providence, Rhode Island. Laser Research Sapphire Fiber Laser Windows feature Moh 9 hardness which is second only to diamond and have A/R coatings on both sides to provide transmission of > 99.5% @ 1.06 microns, with > 90% @ 650-670 nm. Ideally suited as debris shields on 1064 nm cutting lasers, these highly polished sapphire windows permit less frequent cover glass lens changes. Inherently more durable than fused silica windows, Laser Research Sapphire Fiber Laser Windows are capable of withstanding steel splatter, flash, and debris. Featuring a 10-5 scratch-dig finish and providing 1/4 wave transmitted wavefront, they are available in 1/2” to 2” sizes. Sapphire C-Plane windows coated on one- or two-sides are also offered.